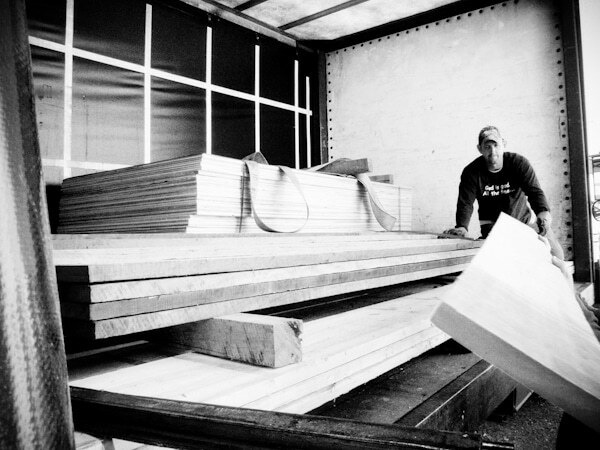 Our build time is 8 weeks & shipping normally takes 2-4 weeks, depending on your location. We offer “White Glove”, in home delivery, throughout the United States, which includes scheduling time of delivery, set up and assembly in your home, complete with debris and packaging removal. Another option is using our furniture freight company which will deliver in 5-10 days direct to a moving company or business. We want you to be completely happy with your new furniture and we stand behind our products. Each piece is handcrafted to the highest standards of care and commitment to quality. Our customization allows you to specify the exact size table and specifications you desire. On custom orders we require a 50% deposit for orders over $1,000 to begin production. The remaining balance is due prior to shipment. Orders less than $1,000 must be paid in full at the time the order is placed. We accept cash, check and MasterCard and VISA. We work with you individually on each custom order to ensure that we build exactly your vision. If needed, you will receive detailed drawings, supporting images, and specifications for your approval. Customers will receive an order confirmation invoice via email. It is the customer’s responsibility to review the order for accuracy and report any discrepancies in product, quantity, shipping information, etc. Upon receipt of your payment we will begin your custom project. Your project’s delivery date will be finalized once payment is received. Your completed project will be shipped once all balances are paid in full, no exceptions. Custom orders are non refundable following the 72 hour grace period. Due to the unique nature of custom pieces, all sales are final on custom orders. Once your deposit for custom furniture has been placed you may cancel or adjust the original order within 3 business days without incurring additional charges. Issuance of a refund or exchange following the 3 day grace period is at the sole discretion of Carolina Farm Table. We understand that investing in custom furniture is a big decision and we work with every client to set clear expectations of quality, wood character, color, and delivery timing prior to processing your order. All of our farm tables and furniture are custom made specific to your order. Due to the nature of our made to order model, all sales are considered final upon receipt of payment or deposit. While it is extremely uncommon, if your furniture is delivered damaged or defective, DO NOT ACCEPT IT FROM THE CARRIER. If you accept a damaged shipment you may incur the return shipping charges. If in doubt, inspect the shipment while the carrier is on location and photo document issues when possible. This includes major breakage, scratches, chips, splinters and abrasions not intended in the original product construction. If you reject the shipment due to damage, the cost of the return shipping will be covered by the carrier. Acceptance of the damaged product implies that you, the buyer, are willing to accept or repair product at your own cost. We will repair or replace your damaged or defective furniture at our cost and/or give you a full refund as long as you have followed these return instructions. 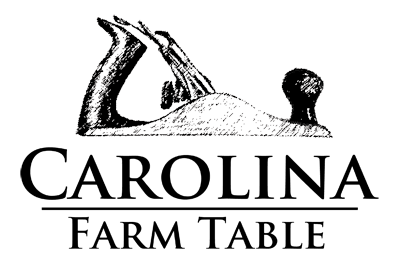 Repair or refund is at the sole discretion of Carolina Farm Table. Each piece of furniture we produce is individual and unique. We use a variety of new woods as well as reclaimed lumber that may be several hundreds of years old. This wood inherently has less consistency and is more subjective to each individual eye. The beauty in our furniture is not in its perfection but rather in its utility, overall quality, and long-term durability. We cannot guarantee that any two pieces will be identical. This applies to tables, chairs, benches, and storage units as well as individual pieces of wood, knots, wood/stain colors, “character marks” such as nail holes, scratches, and open cracks, etc. Our furniture is non returnable due to wood movement, knots, nail holes, color matching, open cracks, and other natural features of solid wood construction.